Juki Exceed HZL-F400 Quilt Pro Computerized Sewing Machine $899.00 - FREE SHIPPING! Designed for both sewing and quilting, the Juki Exceed HZL-F400 is a powerful machine that can be used for just about any project. 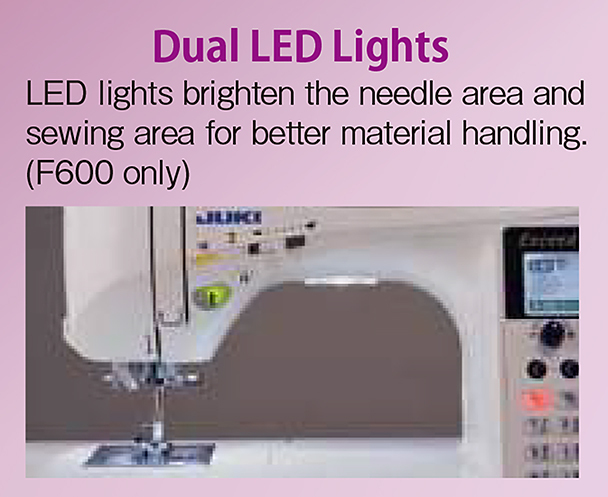 It is a machine with the features even professional sewists need at the size and price of a personal model. The Juki HZL-F400 is strong, reliable, and capable, everything needed to make clothing, home decor, quilting, and much more. This versatile model is a great choice for the more experienced sewist who wants to do a little bit of everything! 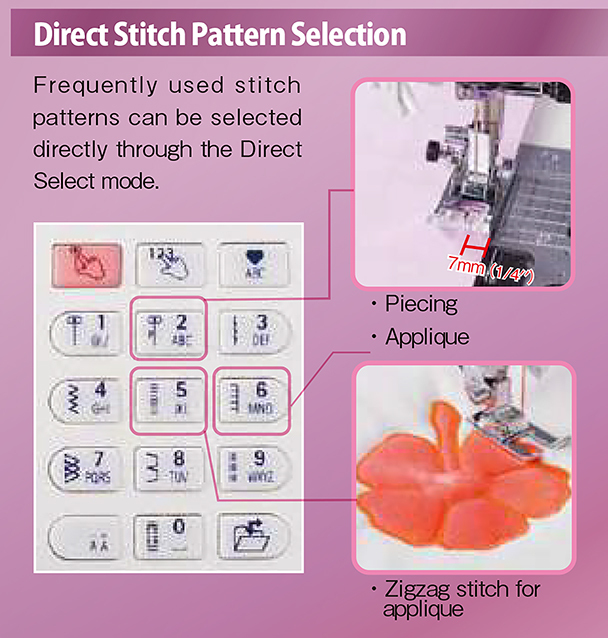 The great features begin with the HZL-F400’s large LCD control panel and keypad that controls stitch selection and customization, up/down needle position memory, thread trimming, foot control functions, pattern memory, LCD display contrast, onboard sewing guide, and more machine features. 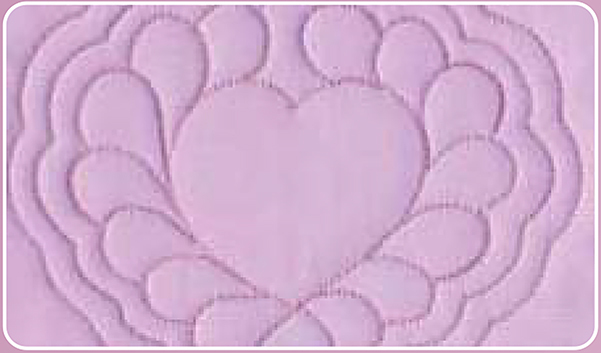 It has 157 built-in stitches, including 16 different buttonholes and 3 letter fonts and uses Juki’s Perfect Stitch needle placement feature for easier needle placement within a stitch pattern. 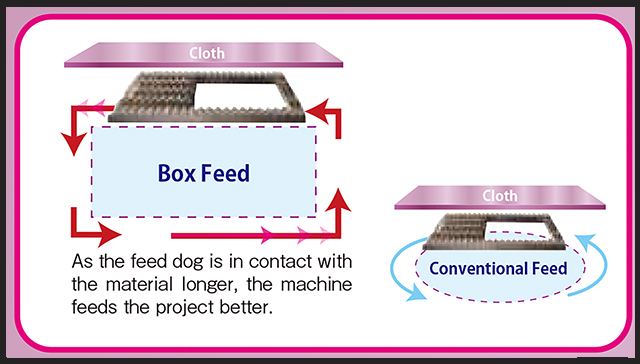 Adding to its amazing list of features, the Juki HZL-F400 includes Juki’s patented Box Feed feed dog system that prevents the bunching and stretching frequently experienced with standard feed dogs that move the fabric in an oval. It couldn’t be easier to sew a wide range of fabrics, from delicate to thick and heavy fabric or stitch multiple layers together with ease. 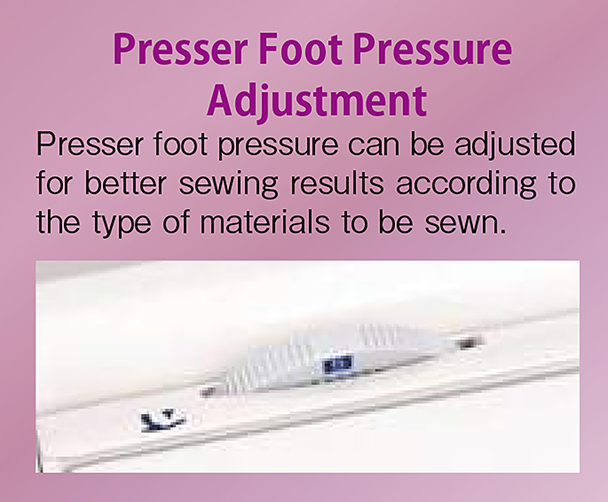 The presser foot pressure is also adjustable, especially important for quilting multiple fabric layers. 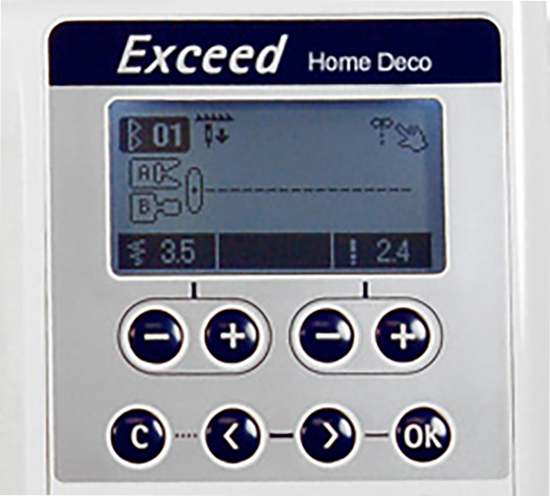 Other great performance and convenience features on the Exceed HZL-F400 include dual LED lights that illuminate the entire sewing area, quick thread, and bobbin winding functions, a presser foot knee lift lever, automatic needle threading, and a foot controller that can be programmed for thread trimming. Like all the other machines in Juki’s F-series, the HZL-F400 also has an extra-wide throat and sewing table space, making it easier to work with when making larger projects like quilts. Along with all those and other great features, the HZL-F400 also includes a large selection of accessories. These include 9 presser feet with a quilting walking foot and free-motion foot, a pack of needles, a twin needle, 4 bobbins, spool pins, caps, and other accessories, a foot control, a knee lift lever, cleaning tools and supplies, an instructional DVD, a hard case, and more. The Juki HZL-F400 is covered by Juki’s standard product warranty, which includes 5 years for mechanical parts, 2 years for electronic parts, and 90 days for adjustments and defects in workmanship or materials. The Juki HZL-F400 - A Feature-Packed Sewing And Quilting Machine Ready To Tackle Any Project! HZL-F series has a wider underarmspace, with a wider table. It is more enjoyable and comfortable to work with large projects. Presser foot can be raised and lowered by the knee-lifting lever. You now can have both hands free when trying to line up those hard to handle fabrics. 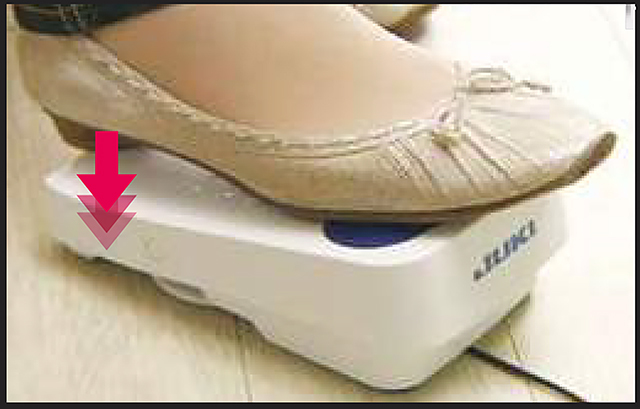 The presser foot lift is up to 12 mm when the lever is used. After several years of producing quilt tops on a near top of the line Singer and fuzzing at that machine with every new quilt - my husband surprised me with Juki HZL-F600 Exceed Series. I did not know how much difference a machine like this could make. Instead of fussing, I now sit at there saying: "I love my machine! I love my machine!" Been using for almost a year & I love this machine. The only issues I've had were minor, and seemed to "work themselves out" after using the machine. Both the needle threader and thread cutter wouldn't work correctly at first, but now they're working fine. The bobbin winder runs too fast in my opinion. It stretched some monofilament thread so tight on a nylon bobbin that I couldn't remove the bobbin from the winder. Be aware that this machine is HEAVY, so it's not very portable. I Don't Deserve This Wonderful Machine!! My first sewing machine was purchased 35 years ago. It was a cheaper model. I gave it to my niece and got a very nice computerized Sears Kenmore machine. It lasted about 25 years and then the electronics fizzled. 5 Years ago I decided that I might be through with sewing as much as I did in the past so I purchased the cheapest model available at Walmart. It had absolutely no electronics on it. I repented as soon as I began sewing. I thought I was the problem because I didn't know if I was working the tension right. After holding it down while I sewed every seam of a Star Wars outfit my son requested I make, I had it with that thing! My husband saw me trying to sew and told me to get a good machine. I went on Amazon and began looking at all the models available. I also went to various websites and read the things each machine offered. The Juki company interested me, so I read reviews. I was very impressed. When the Juki HZL-F-400 Show Model Exceed Series-Computer Sewing Quilting Machine arrived, my heart beat so fast. I opened the heavy box carefully and was amazed at how well it was packed. It looked like a huge thing from the future. As I pulled it out of the box I realized it was the hard plastic protective cover over the sewing machine. I uncovered it and was sort of afraid of it. It was very impressive. I took the book that came with it and read it cover to cover before I even plugged it in. When I finally did plug it in, I filled the bobbin on top of the machine. I could not even hear the motor for filling the bobbin. I sewed in a zipper in a pair of pants. I had never experienced anything like it. The machine was so quiet. The next thing I sewed was quilting an ironing board cover. This sewing machine went through 2 pieces of fabric and 4 layers of old blankets without any problem at all. You would have thought I was sewing a regular seam through silk. I was amazed. Also, cutting the thread on top and bottom by pressing my heel down on the foot control is awesome. Can you tell I love this machine? I know I am not a professional seamtress and I probably don't deserve this great machine, but I wish I had purchased it 35 years ago. This machine makes me very happy. Excellent machine loaded with great features at the listed price. (The auto-thread cutter function is worth its weight in gold). The machine came new in the box and in good condition. Every function worked fine and nothing has gone wrong yet. This is an extremely user friendly machine and has easy to understand computer screen functions. Threading and loading the bobin is so effortless and unbelievely easy. This machine will sew through multiple layers of heavy denim, with no lag in the motor, it defintely has the power and speed you need. I would recommend this machine and I'm very happy with my purchase. My only condern is that fact that auto threaders are delicate on all machines, and that you need to be extra mindful of this one. That being the only downside to this machine, I would still give it 5 stars. You will love this machine. *************** UPDATE: (11/1/13) I did have to send back the machine to have the auto needle threader repaired, but it now works perfectly and has held up very well. Just be careful not to accidently bang it, as it is delicate and needs to be treated with TLC (I did bang it accidently, and had to have it repaired, or readjusted, as the vendor noted when he fixed it). So, during this past year, the machine has held up great. No problems and works like a dream. It is an EXCELLENT sewing machine. It has every feature you could possibly want (please take note all the numerous features you get, including the hard case, as you will use every one and wonder how you ever sewed without them). The Juki F400 has a strong interior steel frame to prevent any machine distortion and makes the machine very stable and sturdy along with supporting the powerful quiet motor which gives this machine great sewing strength. You will notice a slight knocking sound when sewing through thick to very thick material, but this is common with all machines. In general, it is a very quiet machine. Most importantly, after the quality, I want to say that the user friendliness of this machine makes sewing so effortless, you will find it a pleasure to sew. PEASE NOTE: I have seen a review somewhere about the difficulty of changing the needle on the F400 (I had the same problem). The needle comes out fine, but putting it back in was a nightmare. All you need is a "needle gripper" sold in sewing machine stores (approx. $6 or so). 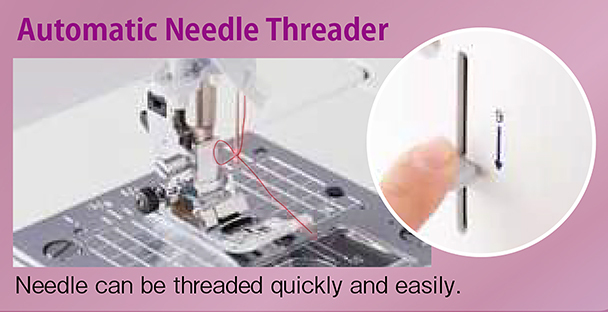 Using the gripper gives you the leverage you need to putting a new needle back in and solves the problem. I hope my original review and very lengthy update convinces you to buy the Juki F400. The Juki F400 beats all the similar featured and priced machines out there, as the quality and ease of use can't be beat. Still a 5 star review and I would highly recommend it.